Known for its pristine beaches, turquoise blue waters and an abundance of marine life, the Whitsundays is famous for its picturesque natural beauty. However, if you're searching for a different way to explore the environment, look no further than a Whitsundays Crocodile Safari. Get up close and personal with the region's 150 resident crocodiles in their natural habitat as you travel through wetlands and estuaries down the Proserpine River. Look out for other wildlife such as native birds, reptiles, mammals and other marine animals along your journey. Departing at 8:30am from Airlie beach, this Whitsundays Crocodile safari is a spectacular full day tour that includes return courtesy transfers from Airlie Beach, Proserpine and Cannonvale hotels. Upon arriving at the Proserpine River, guests will embark on the open air boat cruise and learn all about the environment, mangrove eco-system and native animals that inhabit the region. The experience will also include an exploration tour of the Goorganga Plains on a tractor-drawn wagon as well as delicious Aussie BBQ in the bushland. The traditional BBQ features iconic Australian billy tea and damper cooked in the bush. The tour will conclude at 3:00pm. Please note that while the guides are experts in the environment and have studied the animal's behaviour and movements, crocodile spotting's are not guaranteed every single day of the year. The boat travels throughout the crocs natural environment (not a farm or park), however the safari does have a very high success rate. As this is a full day tour, we recommend packing a few essentials such as a hat, insect repellent, pull over jacket, sunscreen, binoculars, camera and cash for refreshments and souvenirs. The tour is suitable for guests of all ages and fitness levels with minimal walking involved. A spectacular and exhilarating day out, the Whitsundays Crocodile Safari is not to be missed on your next Whitsundays adventure. 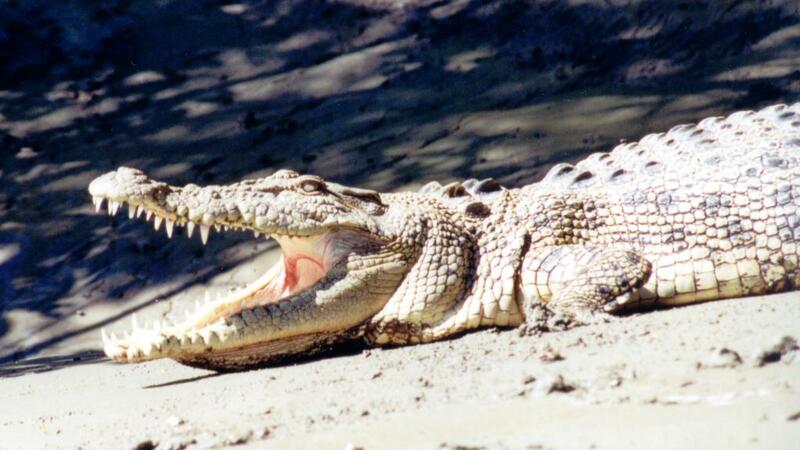 To book your Crocodile safari, visit our Whitsundays tours page.